Publisher and Publication Date: Holman. April 15, 2017. 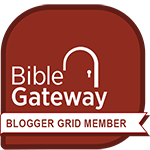 For a review of the Christian Standard Bible: Why I Love The New Christian Standard Bible Study Bible, post written by Jared Witt. At the following link, more information is included about the She Reads Truth Bible. This includes several videos, sample pages, a Bible app, and design choices for the cover. Purchasing a Bible is a strong personal choice. There are many factors that are involved in what type of Bible to buy. Some examples are translation, words of Christ in red letter, reference verses, notes, maps, type-font size, and the over-all look of the Bible. Several questions can be asked: Will I want to use the Bible for everyday reading? Will I use the Bible in a Bible study? Will I use the Bible for Bible journaling or taking notes on the pages? 2 ribbon markers, 1 yellow and 1 white. For some Bible readers the above information on textual base for the translation is a non-interest. For me, it is important and interesting. 1. A minimalist look. This may seem a strange thing to say. I will try and explain: The pages are clean, open, and the focus is on Scripture. My eyes are not distracted by fluff. Fluff meaning additional information that I don’t need. It usually takes me a while to get used to a new Bible or a new translation. I have made myself at home quickly in this Bible. I use it for everyday Bible reading, Bible study, and note taking. It is my go to Bible! Other Bibles I use are the ESV Study Bible and the NKJV Women’s Study Bible. Thank you so much. It took me a long time to put it together!